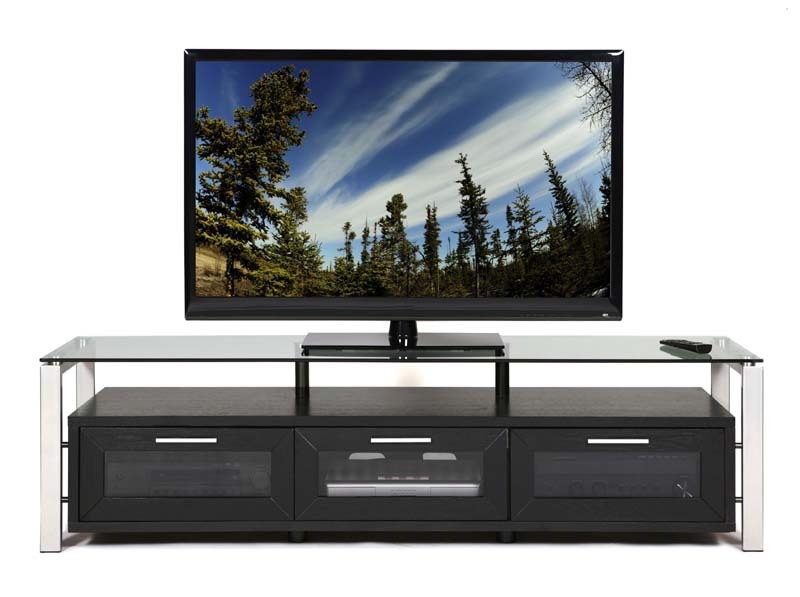 More on the Plateau TV Stand for 50-71 in. TVs (Black Silver Frame Clear Glass) Decor 71 (B)-S below. Numerous useful and unique options place this unit way ahead of the competition. The Décor Series combines both functionality - for displaying and organizing your components - while also providing a visually impressive statement to your audio visual system. 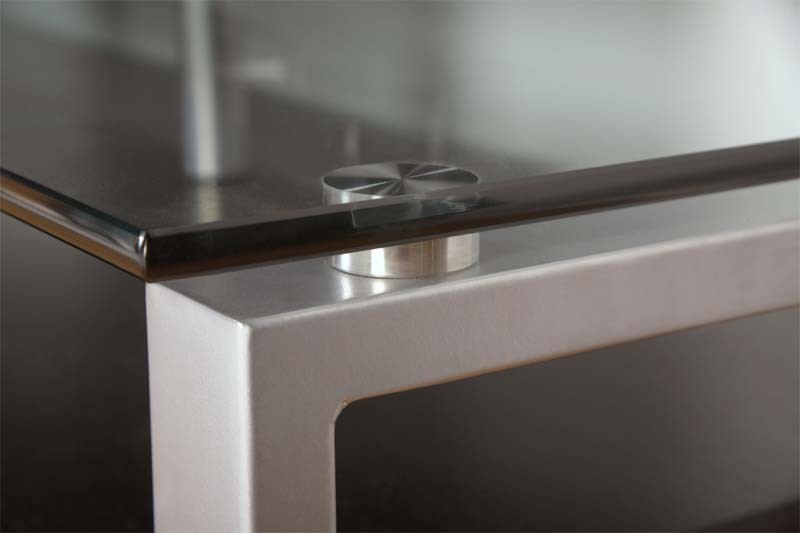 1 floating tempered safety glass shelf with smoothed, polished edges. Included back panels that lend a professional, finished look without inhibiting necessary airflow to heat-generating electronics. 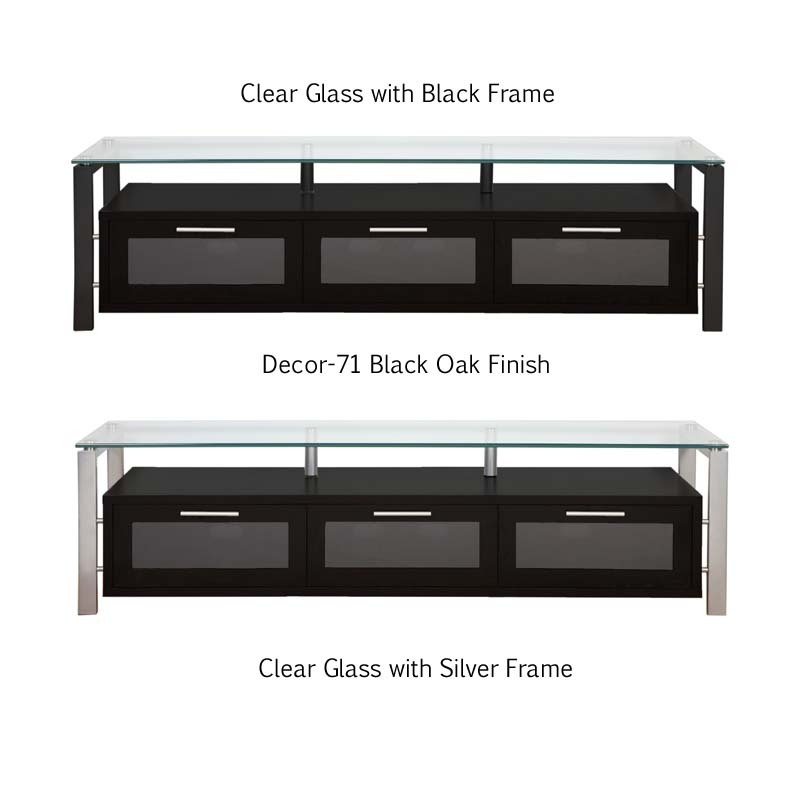 Beautiful Black Oak finish with silver metal framing. Constructed with Oak Wood Veneer laminated to MDF (Medium Density Fiberboard). Glass cabinet doors with brushed nickel door pulls. 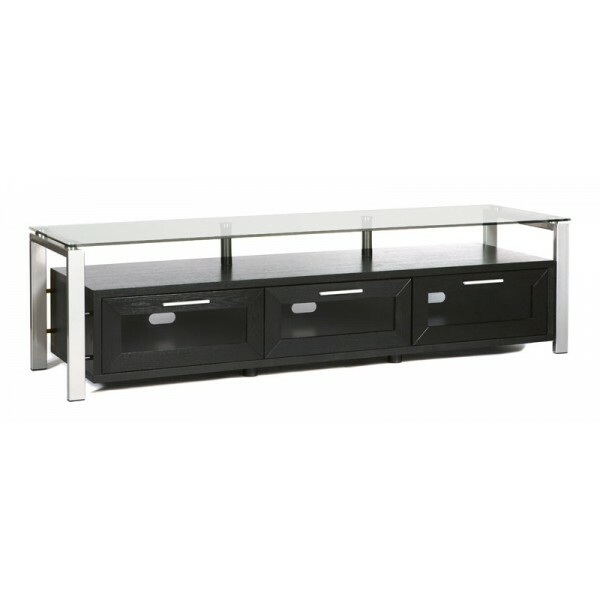 *This product is also available with additional finishes and black glass shelves. See "Related Products" below for additional information. 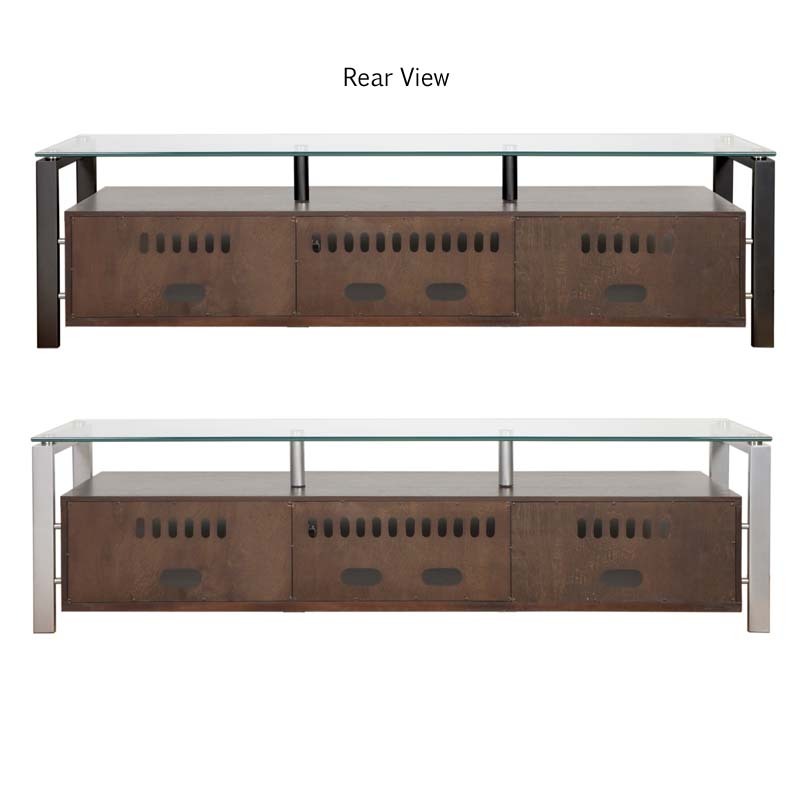 Space Between Glass and Wood Top Shelves: 5.25"
Range of Screens Supported: 43 to 50 in., 51 to 60 in., 61 to 70 in., 71 to 80 in.